Hello! 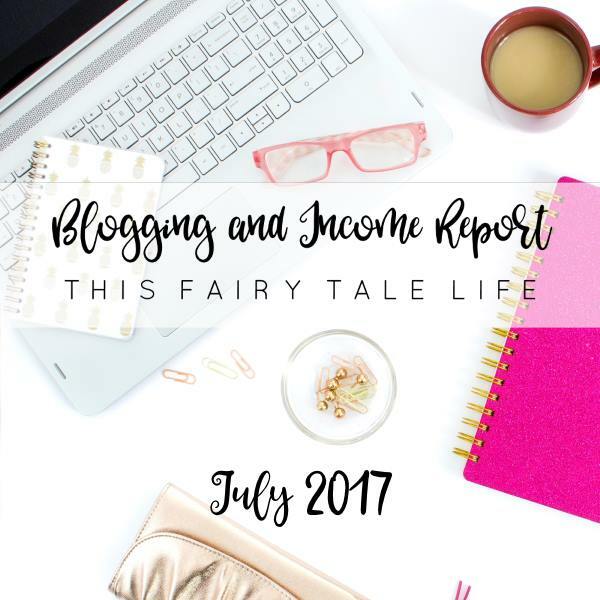 Welcome to my Blogging and Income Report for July 2017! I had a great July and while I’m in denial the year is flying by so quickly I am happy with what I accomplished this past month. July was a bit crazy with D23 Expo but I still managed to write plenty of content and do a big launch – my clothing designs! The response has been really wonderful and beyond anything I could have imagined, so thank you! I have so many ideas in my head and there are many designs to come. While I love writing, this has been a nice change of pace and I’m really enjoying being a little bit more creative. My numbers are up compared to June and it’s always good to be in the green, so no complaints. My top referral sources for July – Google, Pinterest, Direct traffic, Facebook, and Yahoo. As I mentioned earlier, the big happening this month was the bi-annual D23 Expo which was a great time even if it’s completely exhausting. I also attended a Disneyland wedding which is always an honor. Here’s what I earned in July 2017. I list the earnings by network, and then state the specific brands/shops in parenthesis. If I didn’t make any money through a specific affiliate channel, I will leave it off the list (all those zeros could get depressing)! Total revenue for July 2017 = $1414.87. – Total revenue the previous month = $1207.28. I had a strong month for revenue, up a little from June. I’m currently putting the finishing touches on an online course that will be available for purchase soon, hopefully! I don’t want to say too much about it right now but hopefully I can share more in the next monthly report. You had an awesome month! I’m going to check out Media Vine now. I have similar pageviews to you but don’t make anywhere near that much in ads so hopefully that can help! Yes, I love MediaVine! I hope you can sign up with them.